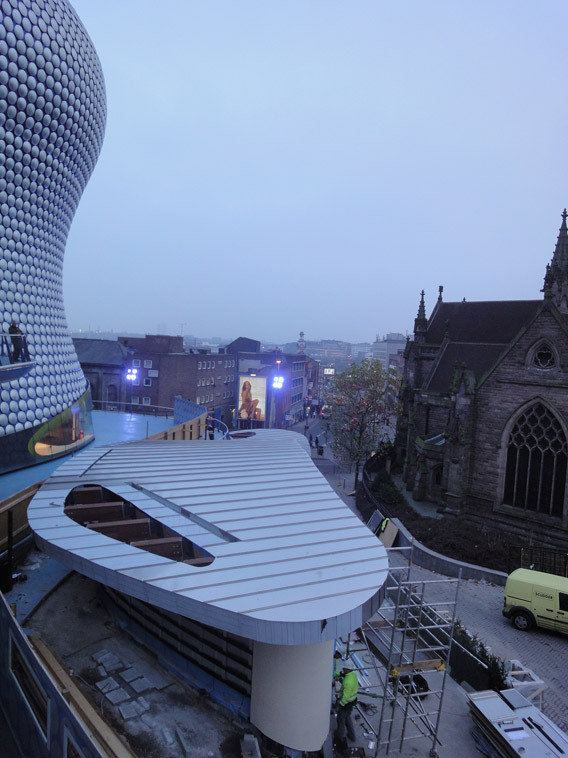 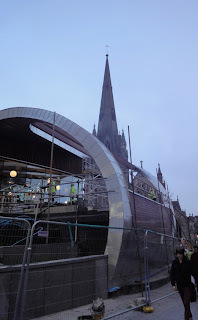 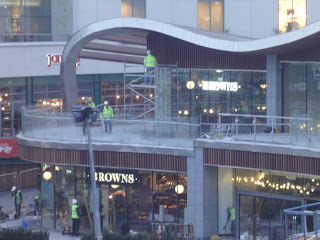 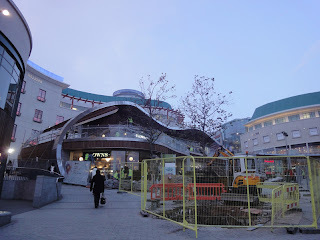 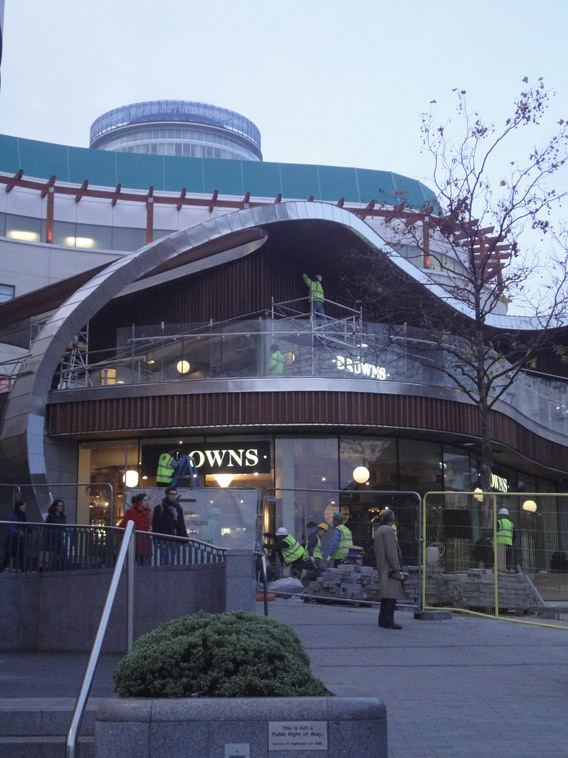 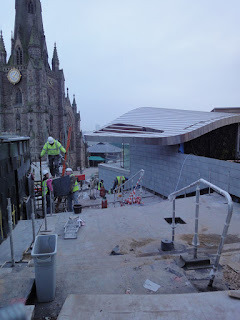 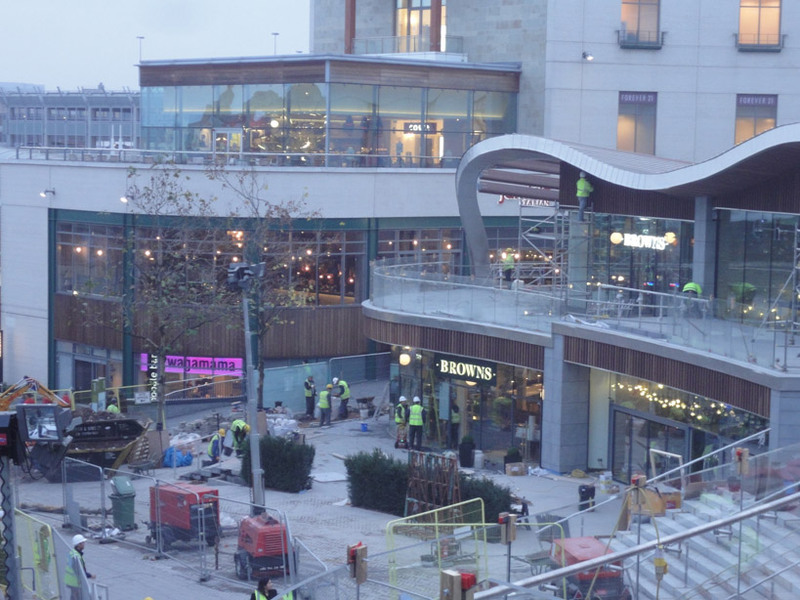 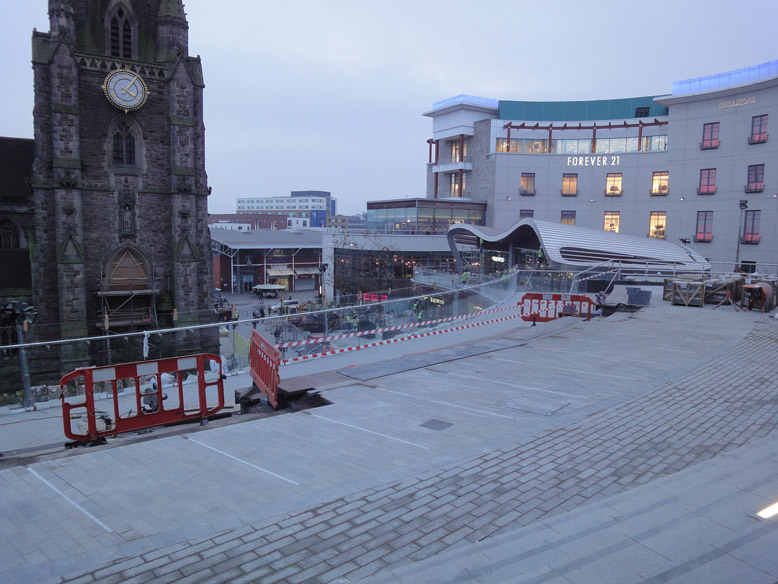 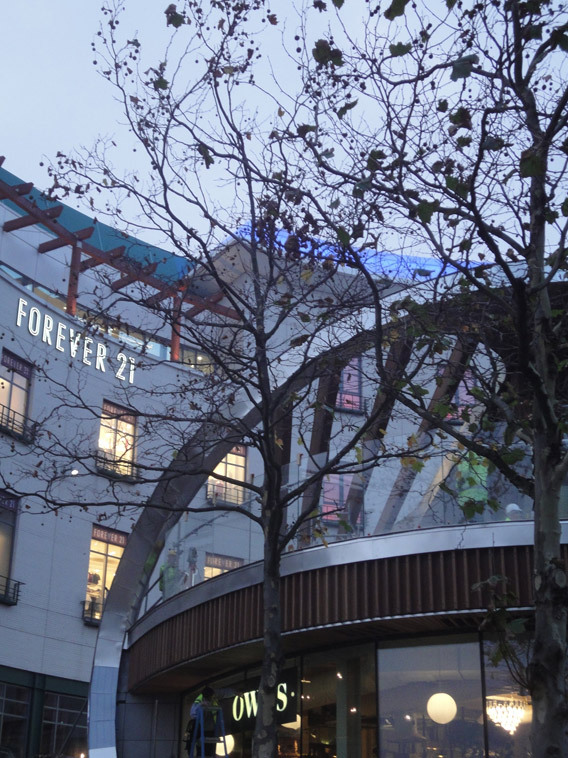 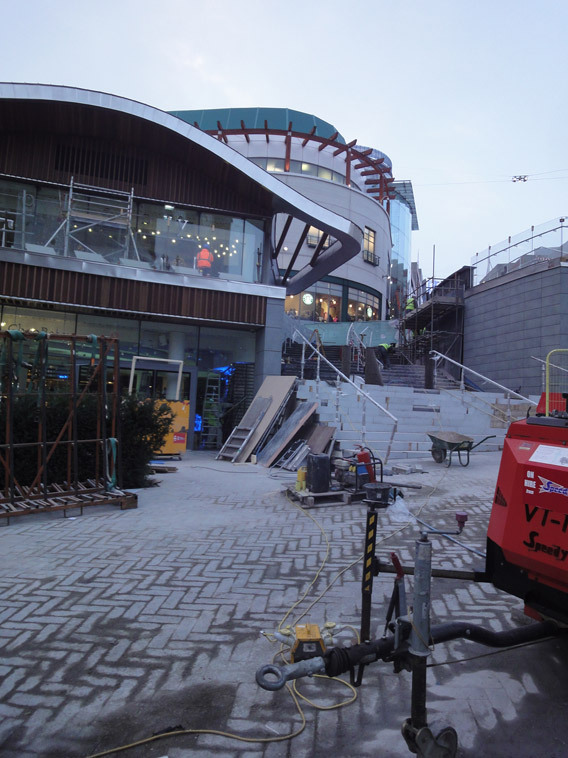 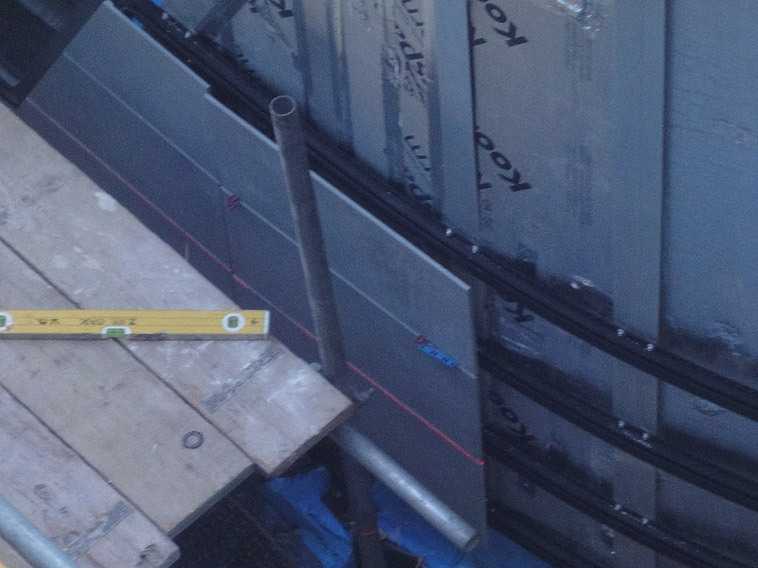 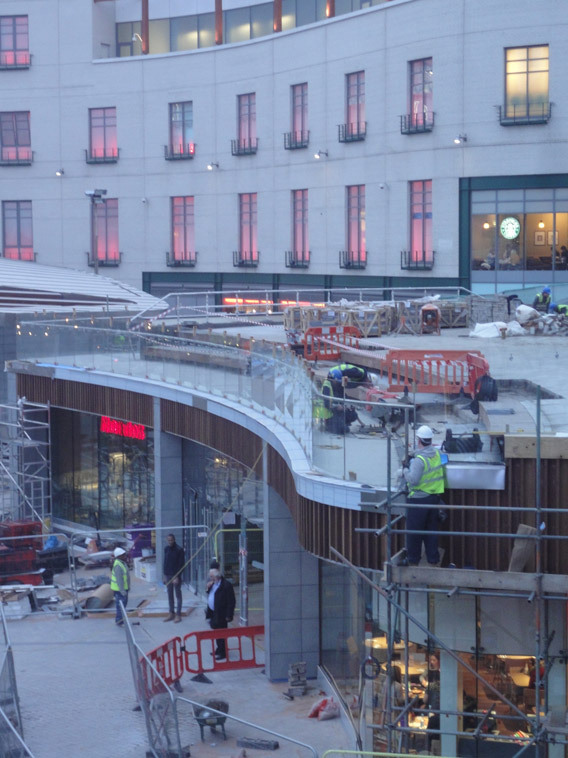 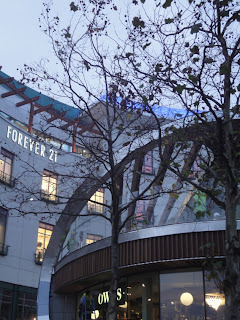 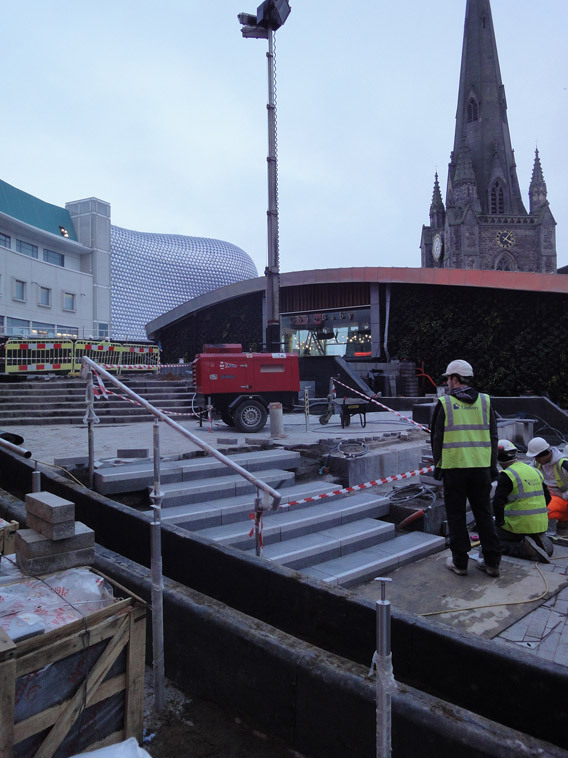 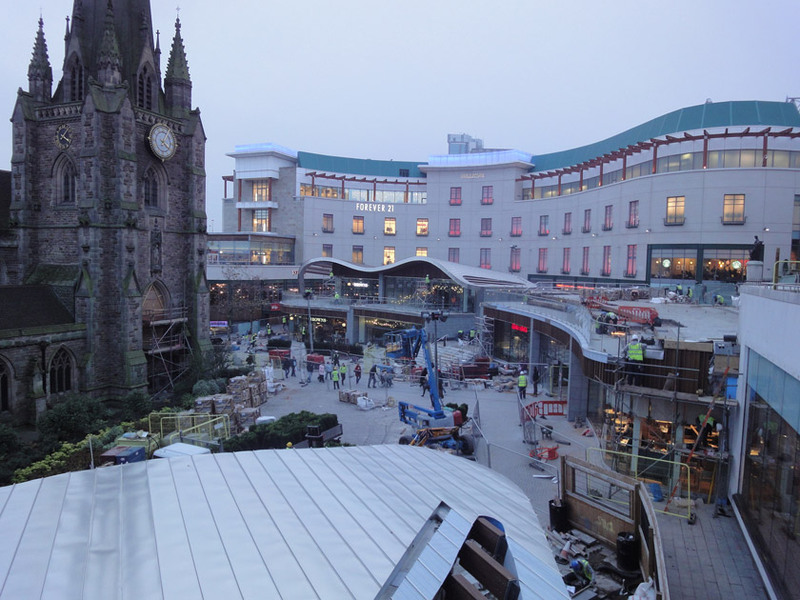 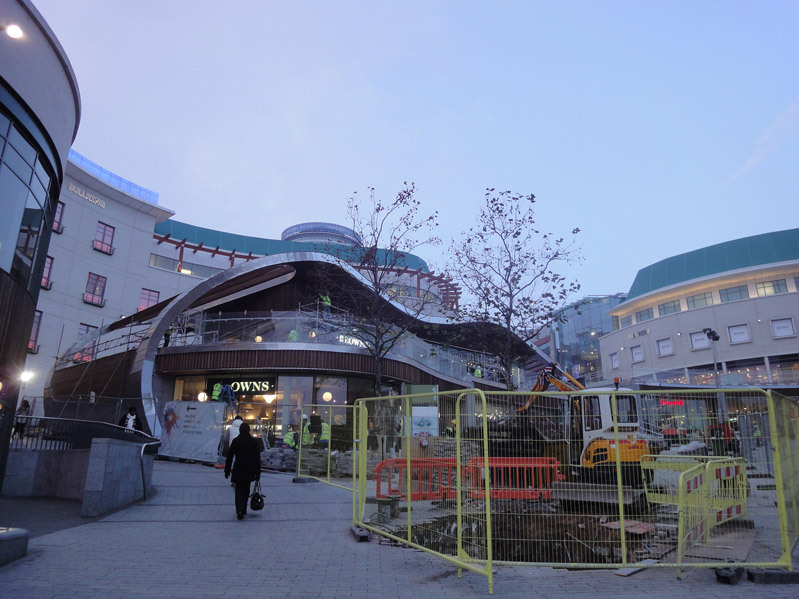 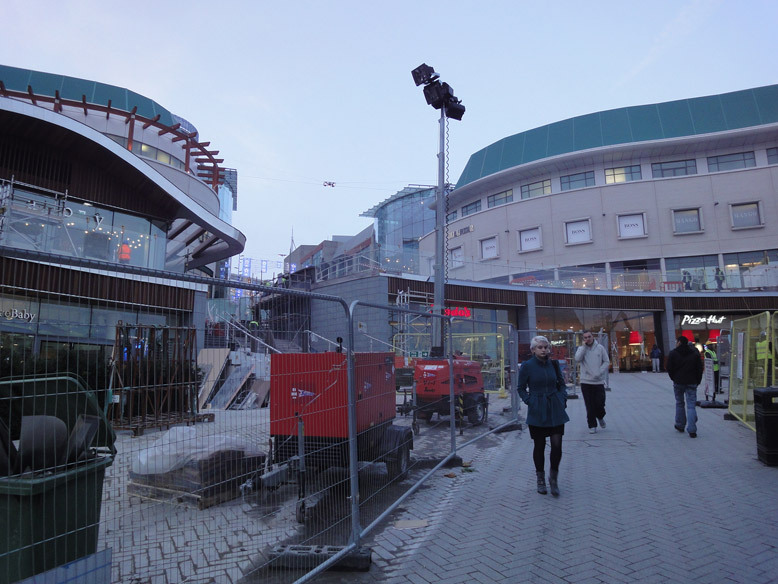 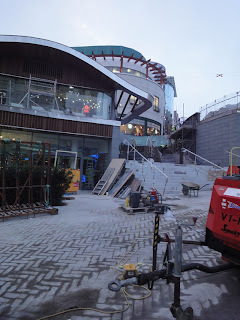 With just over a week to go before the official launch of the Spiceal Street development at the Bullring on 24 November the finishing touches to the development are being completed. 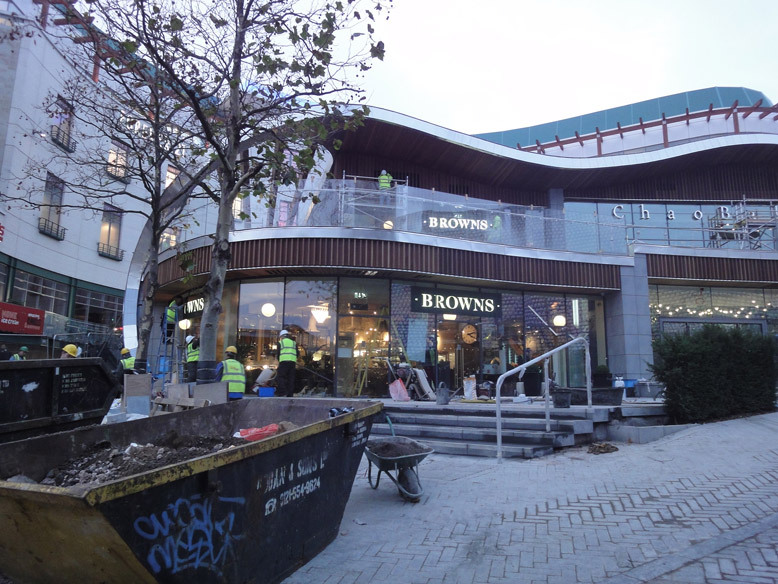 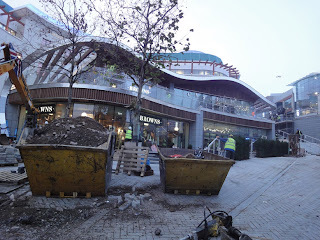 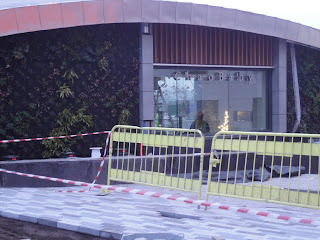 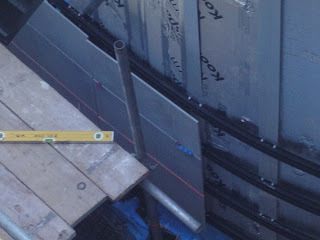 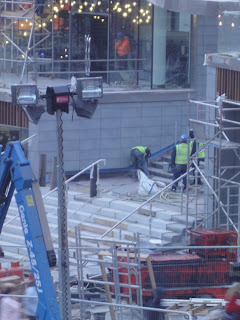 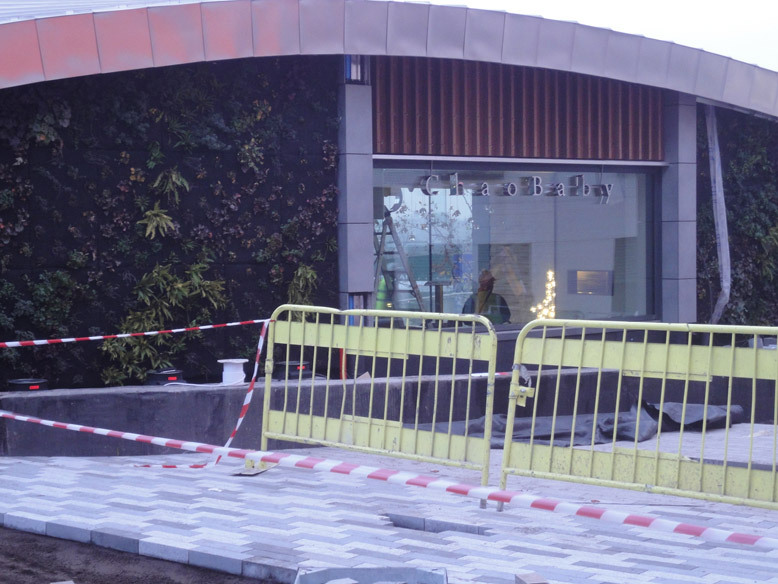 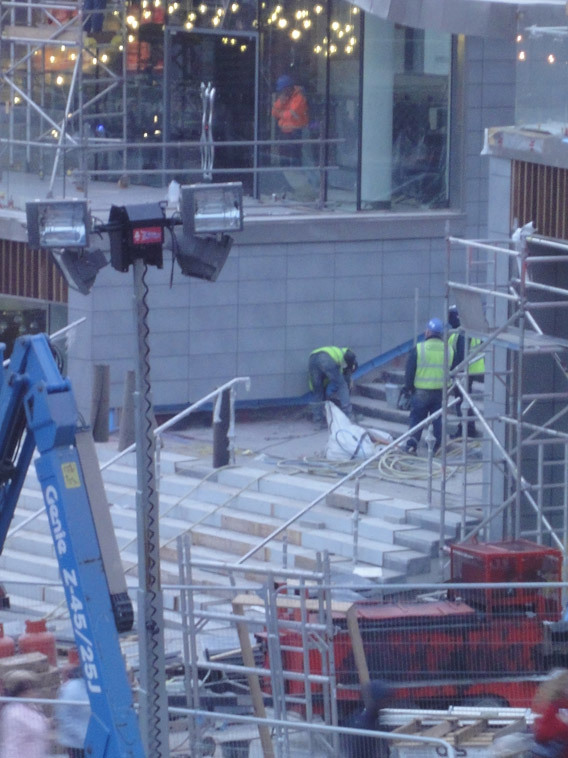 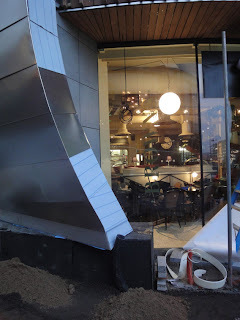 The photos below from 16 November show the restaurants fitted out and work finishing the paving and other finishes to the development. 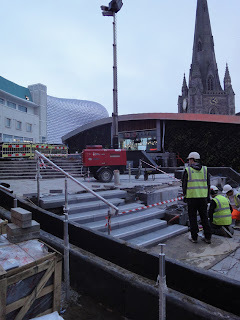 The opening will be officially marked by a dance piece between man and machine at 11am in a performance by dance company Motionhouse involving six dancers and three JCB diggers. For those who miss this there will be a second performance of the dance piece at 6.30pm.